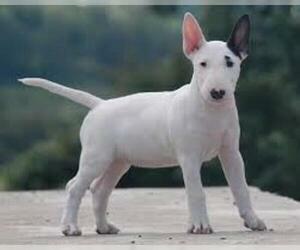 Overview: The Miniature Bull Terrier is, as the name implies, a small version of the Bull Terrier. 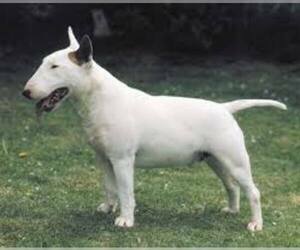 They're quite strong, so require a firm owner who enforces the rules. 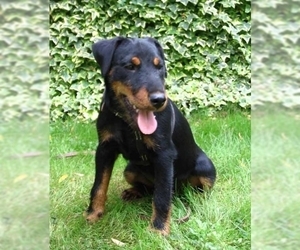 Full of fun, this breed needs an understanding and playful family setting. Coat: The coat has a fine gloss to it. It is short, harsh to the touch and lays flat. 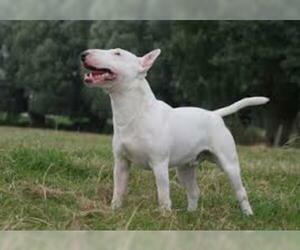 Character: Miniature Bull Terriers are very independent and tough. 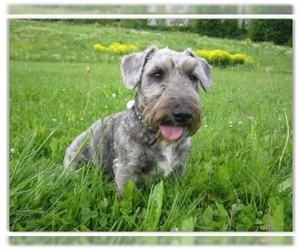 Temperament: This breed gets along well with children. 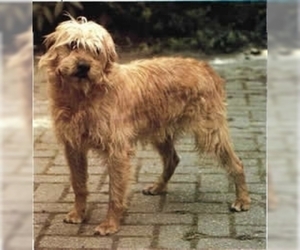 If they have had proper social training early on, they also get along well with cats or other household pets. 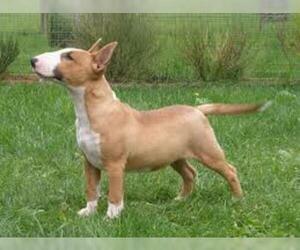 Some may try to dominate other dogs. 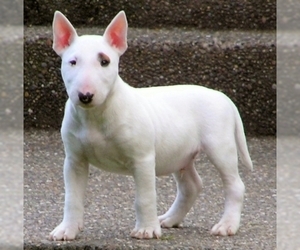 Care: The Miniature Bull Terrier should have a rubber brush used to remove dead hairs. The ears should be cleaned on a regular basis and he requires soft bedding. 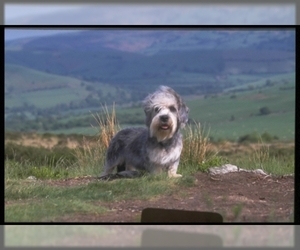 Training: This breed should attend an obedience course as a puppy. 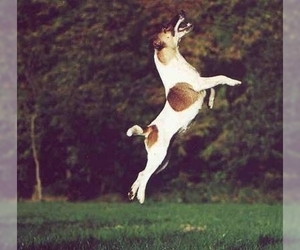 Because this is a very strong dog when fully grown, training should not wait until adulthood. 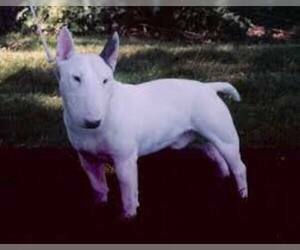 Handlers should be patient and remember that this breed tends to be stubborn. 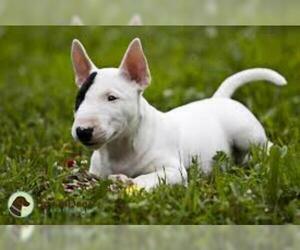 Activity: The Miniature Bull Terrier likes long walks and running and playing off the leash. 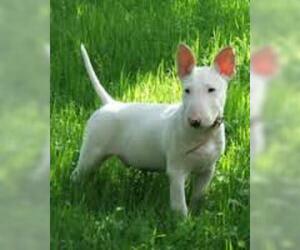 Health Issue: This breed is generally healthy, but prone to zinc deficiency. They have some obsessive compulsive disorders and some other minor problems, too.